Submitted by patsanreal on Tue, 2009-11-03 09:23. I had interviewed Vladimir Bukovsky twenty years ago, in 1986, when the Soviet Union, the first monster that he so valiantly fought, was still alive and thriving. Submitted by gan on Tue, 2009-10-27 01:22. Submitted by patsanreal on Tue, 2009-04-21 08:42.
world pours into EVERY white country and ONLY into white countries. Submitted by drugan on Mon, 2009-01-26 10:29.
western Europe to the Soviet Union. intermarry, with all those non-whites. into EVERY black country and ONLY into black countries? Submitted by rmooosh on Mon, 2008-11-17 17:35. Submitted by drugan on Wed, 2008-11-12 08:41. Submitted by awsan on Tue, 2008-08-19 23:47. The EP is the most dangerous institution of the EU. It changes economic liberal measures from the commission in to terrible socialist measures, like Bolkestein directive.Or it makes socialist propositions of the commission even worser, like REACH. The problem with the EP is that anti-european union parties have no interest in it and socialist have a lot of interest in it. I do not know if David Cameron could change this. EDIT: I see that I posted this two times. This is an error. Submitted by Atlanticist911 on Sun, 2008-05-04 10:35. Thank you for the sensible analysis of the dede (1) image posted by johny book. Let's call it dede +2 shall we? Sorry to disappoint you but, personally, for the reasons given by traveller, I'd be more inclined to lose sleep over this image than the one offered by you. Submitted by johny book on Sun, 2008-05-04 05:25. Submitted by traveller on Sun, 2008-05-04 09:47. I have no idea what that picture is doing under this article. Further that child is accidentally in the same area as a vulture, which is NOT waiting for the well fed child to die. The necklace of the child indicates relative wealth in Africa. Yes, there is massive hunger in Africa, completely due to African thieving politicians and bureaucrats. But this picture does NOT tell anything about the hunger in Africa. I will sleep well after seeing this picture. Submitted by Latarnik on Wed, 2006-11-15 08:58. My only hope is in Turkey. Once they join EU, with Muslim already here, they will form majority and enforce Islamic law. No alcohol, no pork, circumcision for boys and girls, stoning of unfaithful wives and beheading of philandering men. Without the beer in Belgium and Germany there will be a revolution. Poland will be spared as it beat Turks in 1683 defending Vienna and still gets respect from the Turks. Submitted by John Smith of Jamestown on Thu, 2006-11-09 06:16. An American Reagan-staffer, former VOA, and retired international "aviation negotiator", Robert Whitaker, sees North America in a similar plight on his blog. He likewise believes the situation is dire but sees the problem of North American union more in populist terms than in political structures. Nonetheless, he is constantly comparing the situation on his side of the Atlantic to the Soviet Bloc, as Bukovsky compares western Europe to the Soviet Union. "Liberals and respectable conservatives say there is this RACE problem. Everybody says this RACE problem will be solved when the third world pours into EVERY white country and ONLY into white countries. "The Netherlands and Belgium are more crowded than Japan or Taiwan, but nobody says Japan or Taiwan will solve this RACE problem by bringing in millions of third worlders and quote assimilating unquote with them. "Everybody says the final solution to this RACE problem is for EVERY white country and ONLY white countries to "assimilate," i.e., intermarry, with all those non-whites. "What if I said there was this RACE problem and this RACE problem would be solved only if hundreds of millions of non-blacks were brought into EVERY black country and ONLY into black countries? "How long would it take anyone to realize I am not talking about a RACE problem. I am talking about the final solution to the BLACK problem?" Submitted by David Ben-Ariel on Fri, 2006-06-09 23:10. Submitted by Spogbolt on Thu, 2006-03-02 23:20. I'd like to think that there is such a thing as a European (or European-American) people or identity. As individuals, at least, we seem different enough to be interesting to one another but not so much as to be incapable of living together quite closely. But this doesn't mean that this "people" requires a federal political union. Also, I have the impression that the EU oligarchy is trying ultimately to create not a "European people" but something on a larger scale, starting with the North Africans? Submitted by McMad on Wed, 2006-03-01 17:24. I'm afraid mr. Bukovsky is right. I am a former soviet citizen myself and i too recognize many similarities between EU and USSR, even in their propaganda. It does not matter how different nations are forced to live under one rule, whether that rule is brought by strenght of arms or whether the different rulers decide upon it by so called peaceful means. We should learn from history, by their 'un-national' nature, huge centralist "empires" are unnatural and opressive. And they ALL will disintegrate one day, simply because they are held together by unnatural bonds. When that happens it always brings with itself a lot of misery and violent clashes. Lets not let the balkanisation of Europe become a reality. Submitted by Nicolas Raemdonck on Tue, 2006-02-28 23:50. Europe creates a new religion. For the USSR it was communism, for Europe is europeanism, like Klaus said. ALl other believes are not accepted. Submitted by Flemish American on Tue, 2006-02-28 23:37. Granted, the history of the European Union and the lack of a totalitarian dictator such as a Stalin or Lenin would point to a different path. However, these are not the only measuring blocks of a society and many other aspects of the E.U. could be compared to the former- (or even present) U.S.S.R., especially from an economic standpoint. Although it should seem that we are all enlightened and that such things are no longer possible in the Western world, I think this is just näive of us. One need look no further than Belerus where they are M-TV enough to win Eurovision for kids, but where totalitarian government and ideals are alive and well. Look at Serbia & Montenegro where war criminals guilty of genocide are protected at a governmental level. We don't have to go to China or North Korea to see these ideals put into practice. We just need to take a walk around the corner. Nonetheless, I don't believe it will ever be the same. The Soviets would never have tolerated the kinds of things Europe seems more than willing to accept. Besides the moral issues, violent crime was almost non-existent (except when performed by the government) and the only religious groups that openly defied them were living somewhere else. No, the E.U. 's lack of backbone definitely puts them in another category. Submitted by Nicolas Raemdonck on Tue, 2006-02-28 22:47. The EP is the most dangerous institution of the EU. It changes economic liberal measures from the commission in to terrible socialist measures, like Bolkestein directive. Or it makes socialist propositions of the commission even worser, like REACH. The problem with the EP is that anti-european union parties have no interest in it and socialist have a lot of interest in it. I do not know if David Cameron could change this. Submitted by Nicolas Raemdonck on Tue, 2006-02-28 22:43. You asked if Bukovsky believed that the Parliament was a democratic instrument. 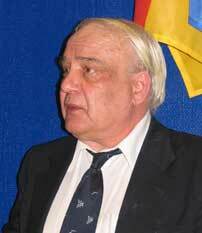 Bukovsky rejected that statement by saying that they decided about futile things. Well, I don't agree. Of all the European institutions the EP is the most dangerous. Why? The Eurosceptics do not send their best people or don't have a interest in doing something in Europe or in a eurocentrist party like EPP. The socialists at the contrary amuse themselves in the EP. They can socialize and harmonise so much as they want. And they have power. For some competence the EP has they right to co-decide with the council about a proposition of the commission. Well, this right was created in the 80th's and in Maastricht, Nice and the Constitution enlarge this right. The Constitution makes it even the normal decissionmethod. But what is the problem. Before the power of the EP rose, you still had some intelligent economic liberal politicians who voted in the council for a liberalisation of the markets in Europe, for example freedom of trade for goods. The EP had in those days nothing to do with it. But what do we see now: EP rejects economic liberal reforms (like Bolkestein) and changes them in socialist rules like REACH and other. Many economic liberal propositions of the commission are changed into socialist rule by a socialist parliament. Submitted by Poul Nielsen on Tue, 2006-02-28 18:21. I was planning to write some more earlier - today, but when the "delete proces was started here" and a lot of Muslim article was placed here - well why write something - when somebody will make everything to a issue about religons. From a Russian angle - Mr Bukovsky’s statement's are very logic and wrong. But if we look at how Europe is developing now, where the Eastern block don't excist -democracy is spreading. Former Eastbloc countries like Polan, Hungary, the Baltic's etc. have chosen to be member of the EU. The welth in the former eastern europe is growing, because of the EU. Since The European Parliament don't have any absolute power in Europe, but must co-excist with national parliaments, it must adjust to that. 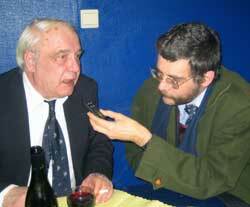 Mr Bukovsky’s want to regard the Eurpean Union as a state. The EU is not a Union as the USSR. It's union of independent states, who have chosen to be member of the EU. Not states who are forced to be a member of the EU. The purpose with EU - was to remove the "economical factor", wich was the reason for the wars in Europe (ww1&2). With that in mind - it only natural, it takes some time to devellop EU, since it's growing by size. Submitted by Poul Nielsen on Tue, 2006-02-28 13:01. EU has it's foundation in a union of "Independent countries". Every law in EU must be implementet by the national goverments in the EU. The former nation "USSR", was based on a communist revolution against the Zar. The result was - a regime based on Terror. Here in Europe - the foundation of EU is democracy. Submitted by Paul Belien on Tue, 2006-02-28 12:04. I have deleted all comments that were posted here so far. This article is about the EU. Please post comments about Islam elsewhere.